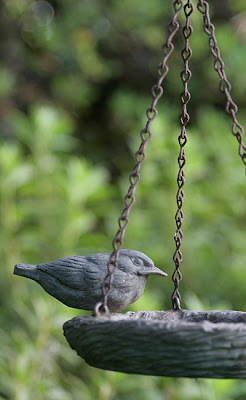 Check out more of Heather's work in the latest issue of Great Backyards. 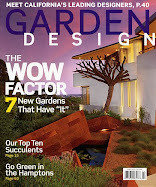 It's a fantastic magazine chock-full of practical tips, general and specialized design concepts, and lots of photos! 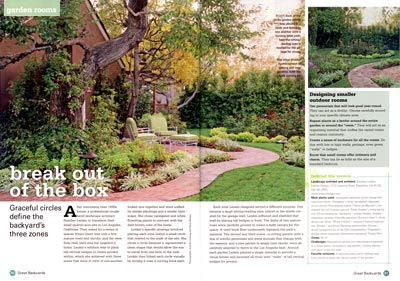 Heather has contributed in the past, dispensing expert advice about garden design, water features and hardscape, among many other topics. 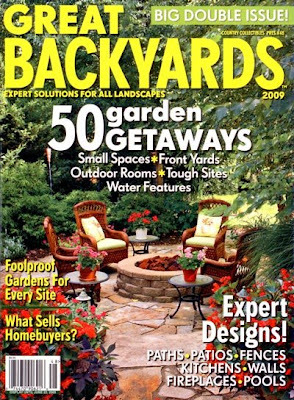 This time around, a recent project is featured in a section on creating outdoor rooms. Ask for it at your local garden or book store! We've had lots of questions about shrubs! The dwarf shrub surrounding the rose garden is pittosporum tobira 'creme de menthe'. We used a eugenia hedge at the back of this property to screen out the view of the neighbor's house. The pittosporum's variegation is echoed in the liriope, but with a pleasing contrast of textures. 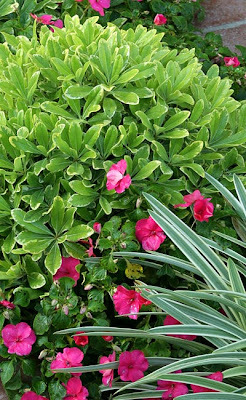 Impatiens provide colorful punctuation. 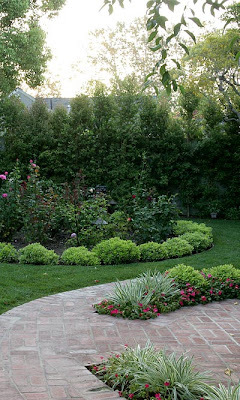 If you want a great hedge for privacy - here are some of our favorites! Repetition of forms, but with differing textures create a more interesting hedge - ligustrum, podocarpus, pittosporum tobira, and eugenia. 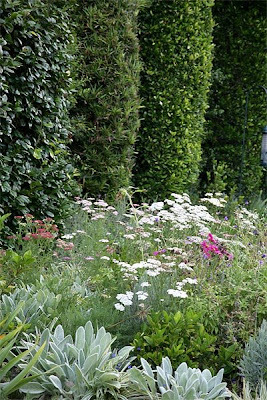 Informal foreground elements include lambs ear, achillea, cosmos, and lavender.